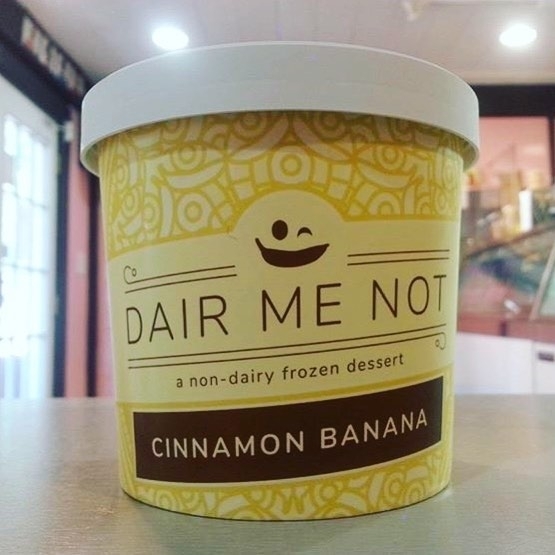 Dair Me Not is a startup Non dairy frozen dessert company based in Summit New Jersey that is trying to change the way people see vegan ice cream. We started this journey due to our own dairy intolerance and the lack of healthy viable options that actually satisfy the craving for gelato. Our artisanal vegan gelato is made with fresh organic fruits and the finest natural ingredients to bring you the frozen treat of your dreams! We are firm believers that taste and texture should not be compromised when creating a healthy dessert. Our small batch process starts by blending organic bananas, organic coconut milk and ground cinnamon to attain a smooth complexity of different flavors. With each serving containing less than a teaspoon of blue agave nectar, Dair Me Not is the perfect sweet tooth alternative for those seeking guilt free indulgence! Take home a pint of your own?Find us at these locations! Want us to liven up your next event?